Caring for a disabled pet can be a rewarding and fulfilling experience, especially if you have the right equipment to support you. At Me & My Pets, we know how important it is to have the equipment and supplies on hand to ensure that your beloved pets are cared for. We have brought together all of our products which are suitable to assist disabled and elderly pets into one section to allow you to browse the full range with ease. Our range includes Pet Stairs to help them get onto the sofa, sofa beds and protectors to keep the upholstery safe from the occasional accident. For traveling with a disabled or elderly cat or dog, our lifting harnesses will help with physical therapy and getting in and out of the car, and our range of washable carriers will ensure that they are kept comfortable and secure. 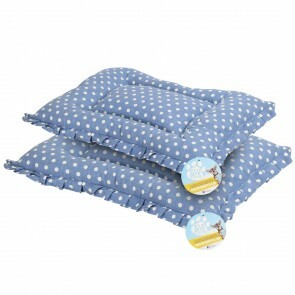 We also sell a range of beds which are easy to clean and non-slip feeding mats to keep mealtimes safe and secure. All of our prices are kept as low as possible to ensure that you can provide your pets with the very best possible quality of life.